Three months ago, a free downloadable game called “P.T.” showed up on the PlayStation Store — and the horror genre has never been the same. People didn’t know it at the time, but the game, seemingly built by a completely unknown developer called “7780s Studios” (it’s actually from Konami, more on that in a bit), is one of the most masterfully created, simple but effective horror games ever released. 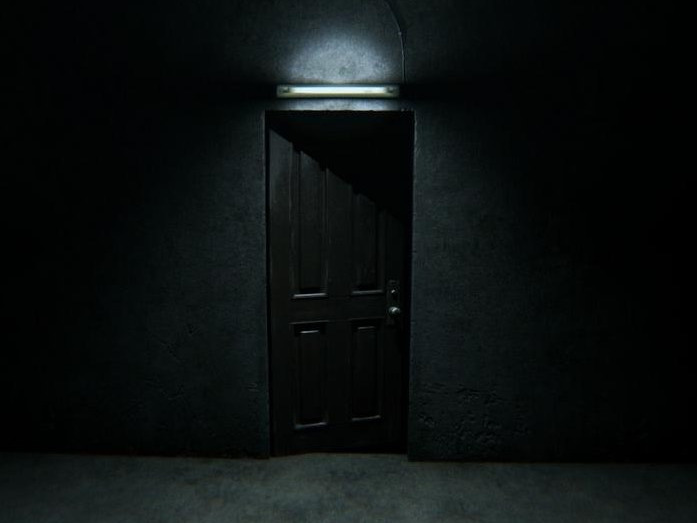 The game thrusts you into an empty room with a door. Once you open it, you are presented with a simple but eerie and photorealistic L-shaped hallway. There’s a bathroom, a clock, a radio, and a phone. There are also torn up pieces of a photo lying around. As you pick up clues from the environment, you learn that you’re walking through a house where a man lost his mind and killed his wife and children. Every time you leave the hallway through the basement door, you end up back in the same hallway. It’s your job to figure out the puzzle and escape the loop. The demo, which I’ve played twice now, is a true terror. And that’s because it’s consistently unsettling, rather than flat-out scary. Granted, there are one or two memorable “jump scares,” which have inspired countless YouTube reaction videos. 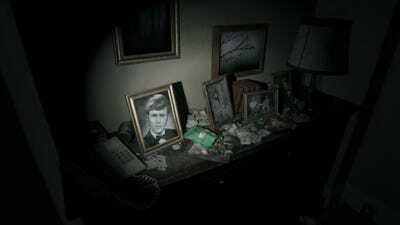 But the true appeal to “P.T.” lies in the ambiance: chandeliers slowly sway back and forth, there’s incessant creaking, and occasionally, a baby cries, a woman moans, and a radio announcer offers chilling details about the house in which you’re standing. On a few occasions, he’ll tell you to look behind you. It’s extremely unnerving. We have no idea what to expect from “Silent Hills,” which comes out next year, but Konami, the maker of the franchise, says “P.T.” has zero relation to the main title, in both characters and premise. Here’s the thing: “P.T.” has become an instant cult classic. Some of the puzzles are just flat-out brilliant — one of them has you collecting clues in different languages, so you need to translate them all and then put the phrases in the correct order to figure out what to do next. And it’s so effective because there’s no exposition, no introduction to familiarise yourself with the characters or the situation; you must learn as you go along. Many wonder what the final game, “Silent Hills,” will be. But if Konami wants a success like “P.T.,” here’s one idea: Make “Silent Hills” into an episodic game, where gamers play a series of small, standalone games in the same vein as “P.T.,” which can all be loosely tied together since they’re set in the same town of Silent Hill. Voidburger, one half of the YouTube team that successfully deciphered the difficult-to-solve final puzzle in “P.T.,” is all about this idea. This might be the best way to address “Silent Hills”: By offering variety without any real overarching plot, the game would deprive players of knowledge about the creepy events that are happening around them, in the same way that “P.T.” forces you to piece together the plot puzzle one little clue at a time. “P.T.” is a true example of how simplicity and withholding information can create a truly memorable experience that feeds on your imagination. Hopefully Kojima’s team at Konami can deliver an equally puzzling but deeply genuine feature-length game that lives up to its sterling playable teaser.